Raees, from Fatehpur, Gujarat gets involved in illegal liquor trade at a very young age. 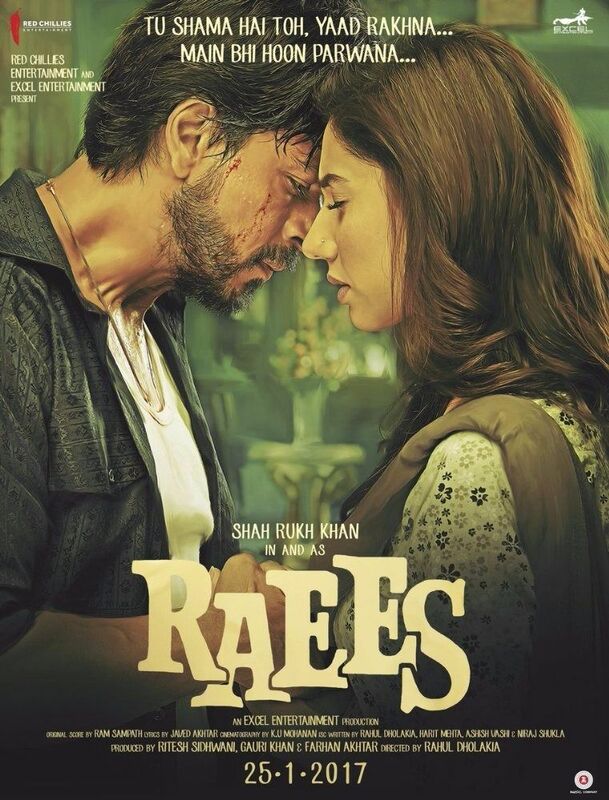 Along with Sadiq, Raees works for a notorious gangster Jairaj, smuggles alcohol illegally by bribing the police. Though he is a smuggler, he lives by the philosophy, as taught by his mother that every occupation is good, and no religion is greater than any occupation till it does not cause any harm to anyone. He decides to part ways with Jairaj and start operating on his own. He meets Musabhai and Nawab in Mumbai, and with their help he starts his bootlegging business. Meanwhile, an honest police offer of the IPS cadre, J. A. Majmudar, wants to end this illegal liquor trade. Read more on Wikipedia.